: Board Collector: Mission Statement part 2. 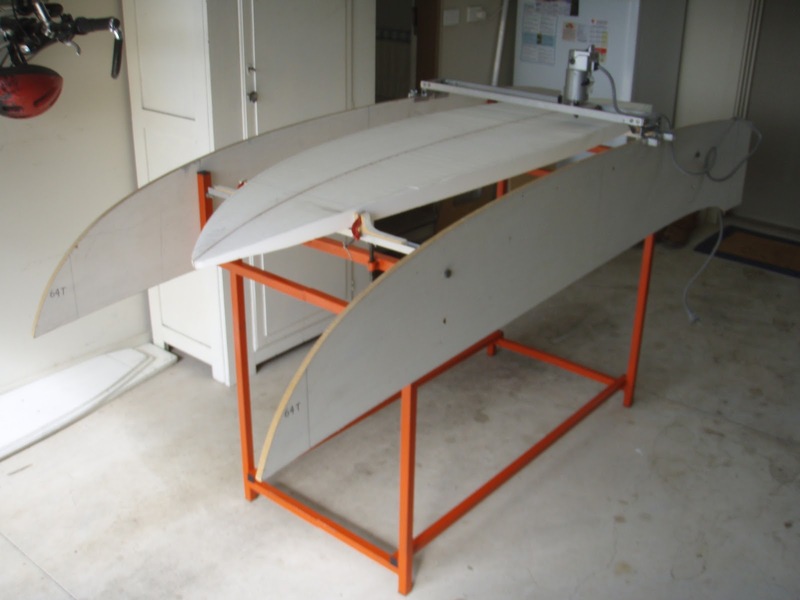 As I endovour to share more acurate measurements of the boards I find and test I have been lucky enough to get some great advice on how to document the spesifics of a surfboard from John in Victoria. His story, insights and words of wisdoms are so interesting I thought it would be great to share the whole stream. John wrote to say- "I happened across your blog via Swellnet and must say I'm so very stoked you have taken this focus and shared this with the world. 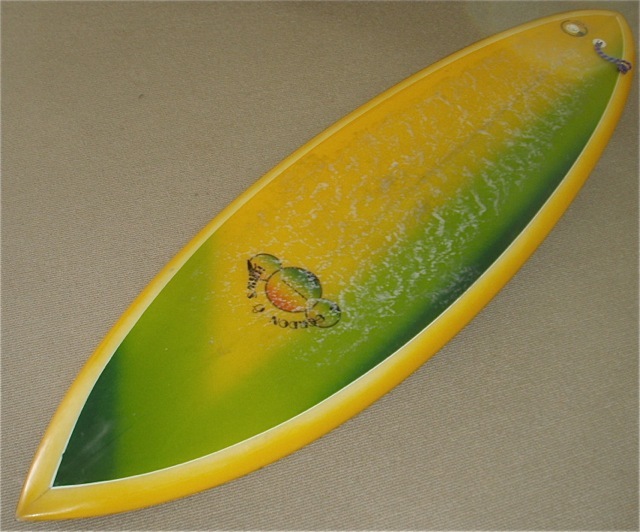 I happen to be the owner of a G and S surfboards by Solness, 6' single fin, (similar to this one) I've had it for around 12 years and picked it up on the Gold Coast. 6' x 20 1/4" x 2 3/4", aspect ratio of 3.6:1 length to width. High refinement in the shape: rails don't feature the tucked under edge until after the big, broad based 5 3/4 base, 7 1/8 high fin. Fin leading edge located 11 3/4 from tail from memory. As a shaper myself I analysed the board this weekend: the shaping is formidable. Rocker is 4 1/2 in the nose and 1 3/4 in the tail; foil thickness is very exact: at every 3 inch measurement along the stringer on the bottom the foil thickness comes out as a precise imperial measurement, 3/4, 1 1/2, 1 3/4 etc etc. The rails are absolutely beautiful. It also features something of an 'S' deck in foil so as to increase foam under the riders' feet. I have learned this is a key aspect for a board to perform well for recreational surfers. It has volume for me to surf, and it's a lively kitten compared to the (free) 1973, 6'5" Brothers Nielsen "White Pointer" single fin (shaped by Tony Eltherington) I learned on as my first board. It turns on a much shorter arc, the higher tail area in planshape allows for more float (Geoff McCoy was right) and more of the board under your feet increasing ability to turn. It features a light vee I haven't measured yet. I'd date it at around 1979 or 1980, so to me it's really special, for it marks the apex of single fin design before the Thruster became the choice of many surfers. "Its great to hear from an experienced shaper. One who understands what actually going on with the board. I hope I can ask you some questions in the future about board design so I can communicate more clearly about the designs I find. For instance when you talk about rocker and you say a board has 4" lift in the nose and 1" lift in the tail how do you measure that? How come it doesn't have 2.5" in the nose and 2.5" in the tail. I have built a box with holes for the fins to poke thru so I can more accurately measure the boards but rocker is the tricky one. How do you do it?" "A little background is in order. I began to surf at 15 in about 1990 and heaps more so in 1992 when I graduated and got a car. Slater wafer thin boards were all the rage. Longboards hadn't come back on the West Coast. Needless to say, you either had a beat up 70's-80's board or it was impossible to surf the new boards. 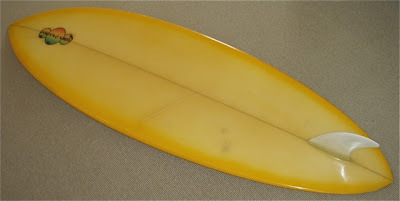 I was lucky with the Brothers Nielsen single fin, which my mates fobbed off as "the beast". I also loved my Byrne 6 channel thruster. When it came time to replace the BN, I discovered no one was shaping single fins. So I undertook this myself, starting from absolutely no knowledge in 1992. My 3rd attempt was a very good replica, and I surfed it all over between Margarets and Geraldton. Spun a few people out! The volume and stability of the single were a huge benefit to me and made me a back foot surfer. My girlfriend's dad had two 1962-66 9'3 Cordingleys sitting in a machinery shed on the farm and when I first paddled into a wave on them, I was hooked on longboards. I was lucky Len Dibben began making me longboards in 1996 and this saved me as well, for in Perth you have the choice of closeouts for shortboards at Trigg, or longer rides for longboards on the Cott reefs in winter. I chose the latter and it kept me surfing when a lot of my mates gave up. After making a few boards, I decided that to get the bottoms really perfectly 1mm tolerance flat, I'd make a rocker machine. I heard Wayne Lynch did this in the 70's, and so undertook this endeavour (as a History undergrad, with no trade skills) painstakingly and deliberately, drafting all parts and building them with no pictures or guide, just a vague description. The appeal was great - every board to come out with a similar rocker, therefore a similar feel. It is where quality begins, I thought. Also ringing in my ears were some of Dave Parmenter's wise words on the crucial nature of rocker, and MP's brutal and effective rocker shaping techniques, like he said "95% of it is the board". I made a single fin rocker, a frame, an overhead frame to mount a router, and succeeded. 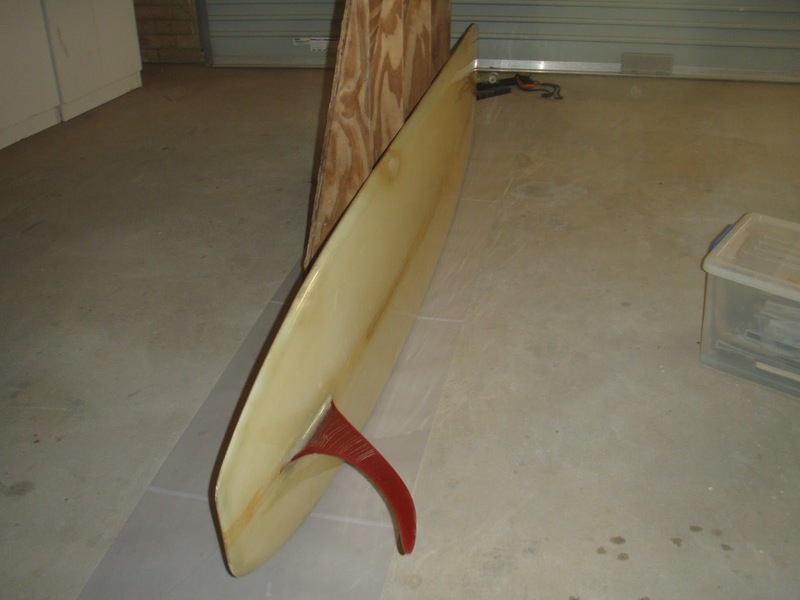 I then sold single fins in Barrie Sutherland's Perth shop from about 2000 to 2005, but to be honest, my shaping still had much to learn although the boards themselves looked nice. 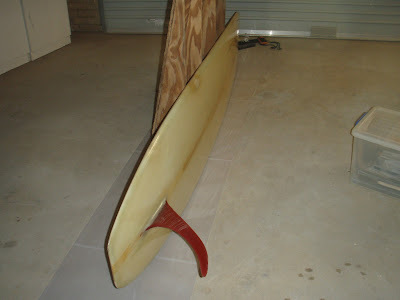 I had hell with blanks, the only ones that would take anything near single fin volumes back then were Burford 68KK's. My rockers and rails would overshape, leading to easily dinging rails. Now in 2013, Burford has reissued 70 DONs from the 1970's. 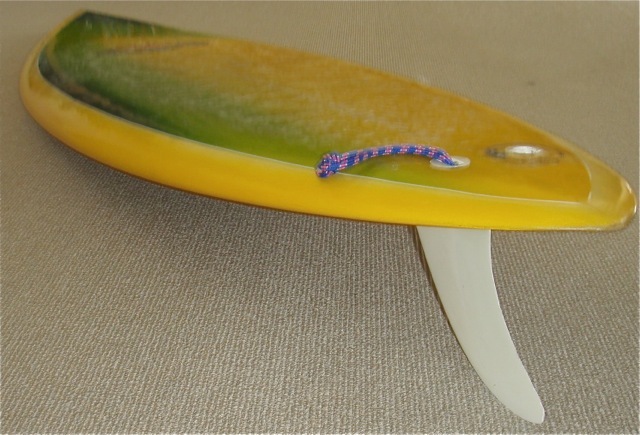 I have one in the shed now and am doing rockers for a 7 foot pintail Bells board. In addition, Midget's surfblanks reissue 1970's heavier density foam that can be shaped into further, allowing a mix of individual design and durability to not be mutually exclusive. I'd guess that a 6'0 Solness type boards would come out of a 64ish funboard/fish and would best be in their thicker foam (orange? black?) for durability, although the Solness board was shaped/glassed light. I also began to make copies of hisorical outlines and rockers I came across, again with a 1970's bias. I now have 20 years of these, and my own developments. I'd like to put them all online one day, like an "online library" of board design, an open source thing. As far as teaching analytical shaping, it's not difficult. Rockers are very individual - two 4 1/2" inch nose rockers can use completely different curves to achieve this. 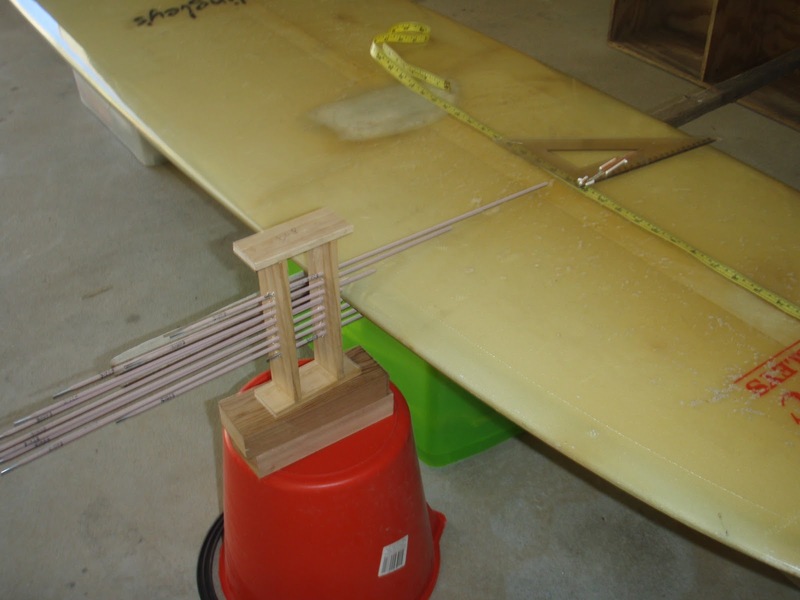 As a method, if the board has no fins, you can lay it on a flat, concrete surface. If it has fins and you measure, the weight of the fin will distort the nose rocker up and the tail rocker down from where the shape would have them. Better is to lie it flat upside down and get a straight edge along the stringer. Use a 90 degree measure (like a big protractor) to measure overall nose and tail rocker lengths. If happy with this, take wax off the deck and then measure the deck rocker onto the paper on the floor while the board is on its side. Domed decks/bottoms make this process harder, but not impossible." Excellent advice, thank you John from Victoria.